Bromley dementia services celebrated National Memory Day on Thursday 18th May during Dementia Awareness Week 2017, with poetry events for people with dementia and their carers. 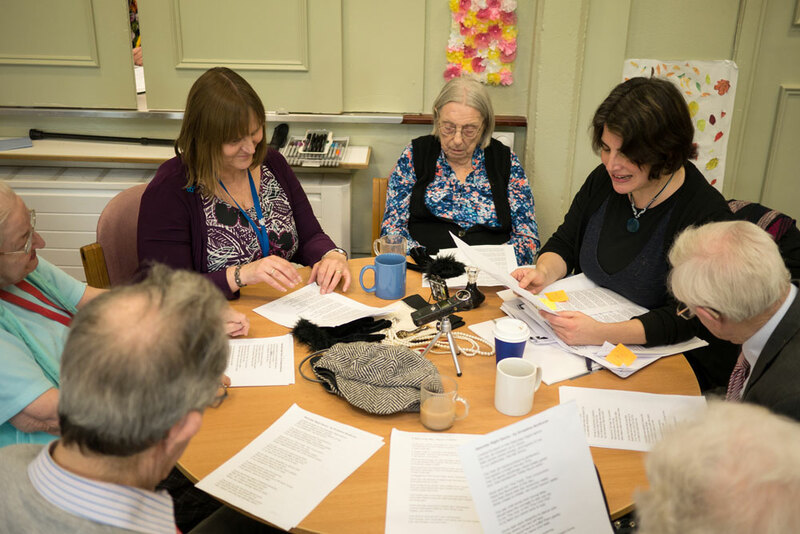 Writer Nichola Charalambou ran one poetry workshop at MindCare Dementia Support Centre and the second workshop at St. Edmund’s Church Hall Dementia Café. At MindCare Dementia Support Centre in Beckenham, Nichola ran an intimate poetry group with people living with dementia who attend the centre to take part in activities with other people. Poems included ‘It Was Long Ago’ by Eleanor Farjeon, a British poet and children’s author, who wrote at the time of WW1, where she remembers summer time in her early childhood. Other poem topics included Saturday Night Dance and The Diamond Jubilee. The groups eagerly chatted about childhood memories of long summer holidays, young adulthood relationships and romances and memories of the Queen and the Royal family. 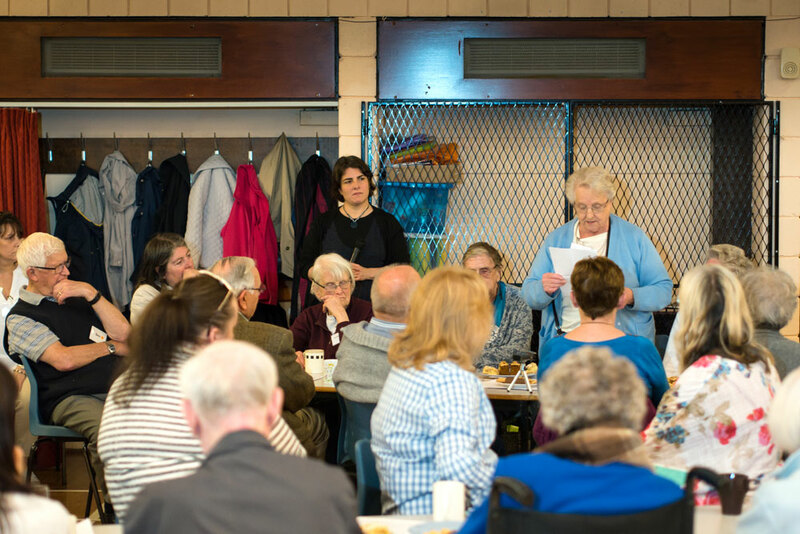 In the afternoon, St. Edmund’s Church Hall in Beckenham, hosted a poetry dementia café attended by 40 people. 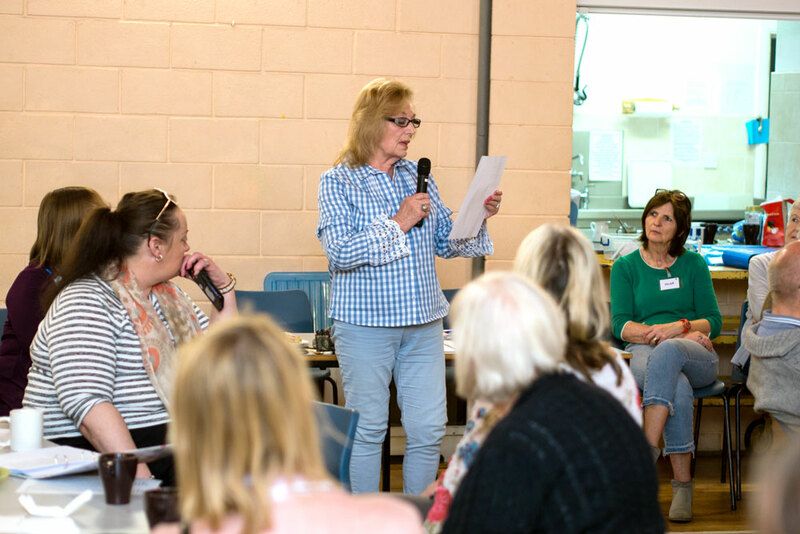 In addition to reading and sharing thoughts on poems chosen by Nichola, people with dementia and their carers shared their own poems that they had written about the joys and mysteries of life, caring and loved ones lost to dementia. Some carers also shared published poems from their family members. There’s a thief in our house, he’s not after our wealth. He’s creeping about with incredulous stealth. What part of my husband will vanish today? But where does he take them no person can say. No care for the victim, no care for his need. But sometime that evening will turn into night. But still distant thoughts of the old childhood ways. I wash him, I feed him, his skills are long gone. I spend sleepless nights and sit with him ‘til dawn. That dastardly thief cannot take that away. His victims are random and they never are willing. But he’s not a thief to just chuck into the yard! What bit shall I pilfer today? This Dementia just won’t go away. National Memory Day was established by a partnership comprising literature development charity Literature Works, The University of Plymouth, The Poetry Archive and the Alzheimer’s Society. Its aim is to promote the importance of poetry as a therapy for memory loss, raising funds to enable practicing poets to deliver poetry workshops in Memory Cafés whilst at the same time helping to generate further public awareness of the condition of dementia. Bromley-wide dementia support services focus on helping people to live as well as possible with dementia. A dementia diagnosis is life changing for the person diagnosed, family carers and friends. There is currently no cure for dementia. It can take time for everyone affected to come to terms with the diagnosis. 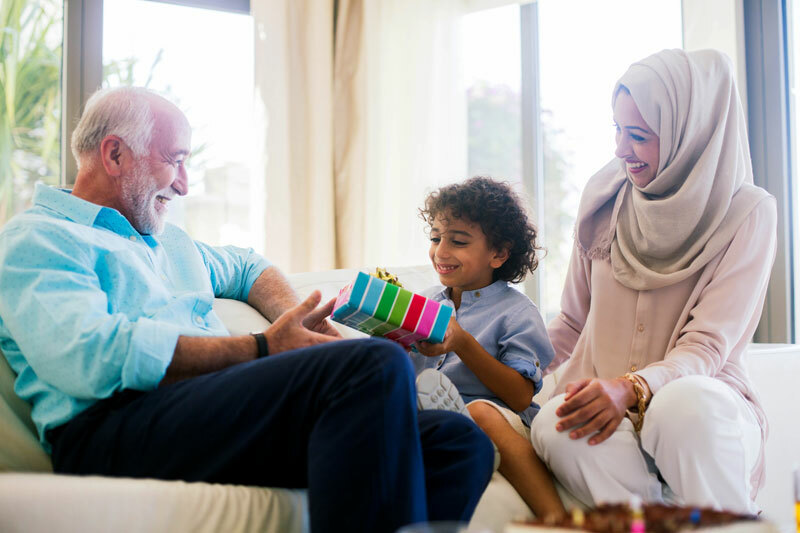 Dementia is a challenging illness but by adapting your lifestyle, finding the right support for you as soon as possible, you can still live well with dementia. Keeping your mind and body active are incredibly important in living as well as possible with dementia and doing the things you want to do for as long as possible. “Just a little note to say thank you for all the help, attention and encouragement you give my mum. As I don’t live near my mum, we have daily telephone conversations and there is a marked difference in her voice on the days she attends the MindCare Centre. The tone of her voice is upbeat and she is full of excitement, telling me what responsibilities she was given during the day. As a result, she feels needed and appreciated and part of a community again, which is very important for people with dementia like her. We’ve also noticed that her memory and conversational skills have improved with the interaction she gets with people at the Centre. She is looking forward to the summer when she can join in gardening duties. She also enjoyed having her nails painted recently. Bromley businesses and public services are working to become more dementia friendly. 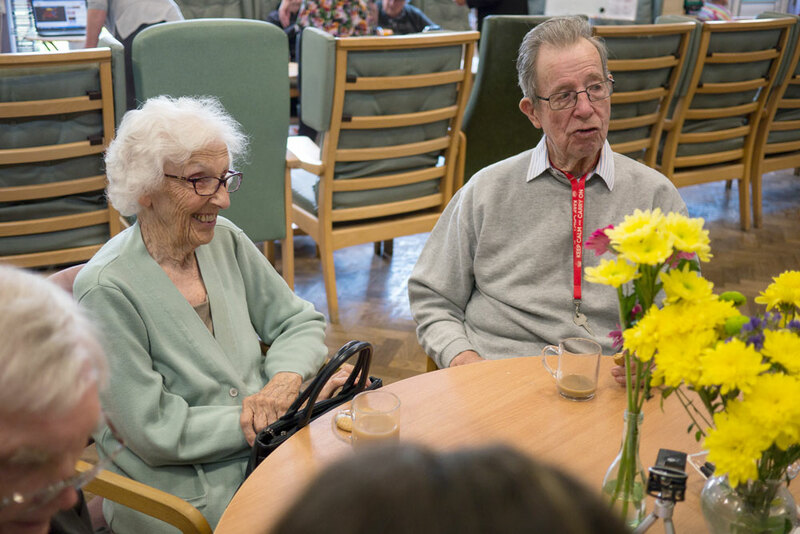 They are working to understand what it is like to live with dementia and adapt their services so you feel welcome and can take part in everyday life. For example, MyTime Active are dementia friendly. If you let them know about your needs, they can help stay active, exercise and socialise at their leisure centres. 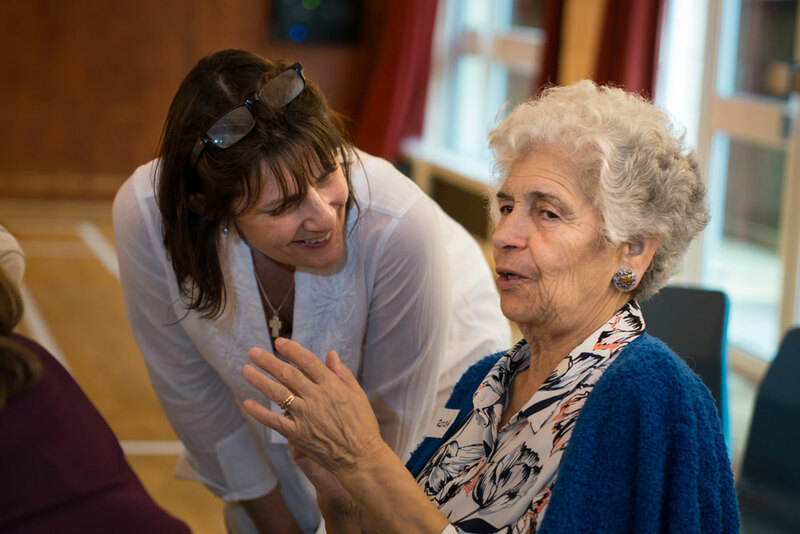 There are more dementia friendly places, activities and memory/dementia cafes across Bromley, to help you create new experiences and memories with family carers and live well with dementia. If you are interested in local Bromley dementia services, support groups and activities, contact the Bromley Dementia Support Hub where a Dementia Advisor can guide you through options and help you find what suits you best. 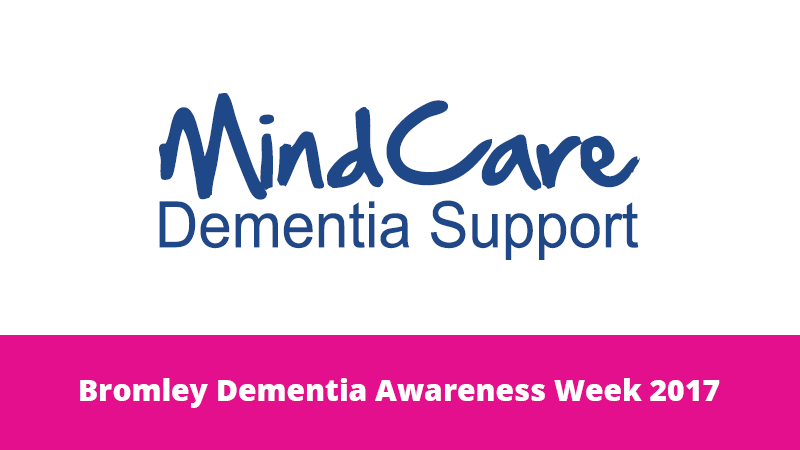 During Dementia Awareness Week 2017, MindCare Dementia Support in Bromley will be holding Open Days at its centres in Beckenham and St. Paul’s Cray. St Paul’s Wood MindCare Centre (United Reformed Church Hall, Giggs Hill, St Paul’s Cray, BR5 2SA) will be open for public visits on Tuesday 16th May, 1pm – 3pm. Beckenham MindCare Centre (20b Hayne Road, Beckenham, BR3 4HY) will be open to the public on Wednesday 17th May, 1pm – 3pm. Bromley MindCare staff will also be attending Tesco Orpington and MyTime Active Centres to speak to members of the public about dementia and services we provide. Further details of all Bromley-wide events for Dementia Awareness Week 2017.